In our EARLIER POST, we installed and configured CentOS 6.3 as a VM on VMware Workstation. In this tutorial, we are going to install VMware Tools in that VM. The VMware Tools ISO is mounted to your VM. 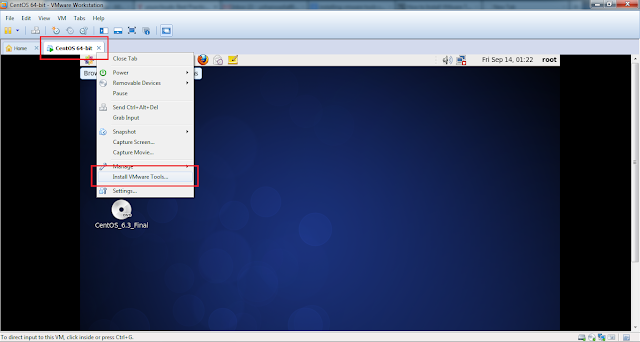 Launch the VMware Tools CD Icon. 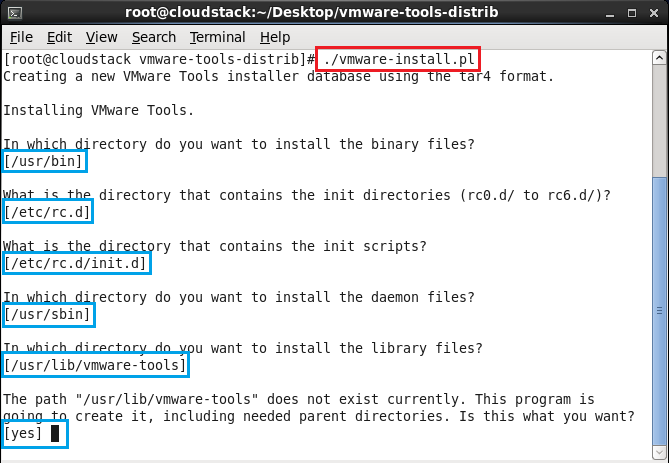 Be sure to respond yes when the installer offers to run the configuration program (vmware-config-tools.pl). 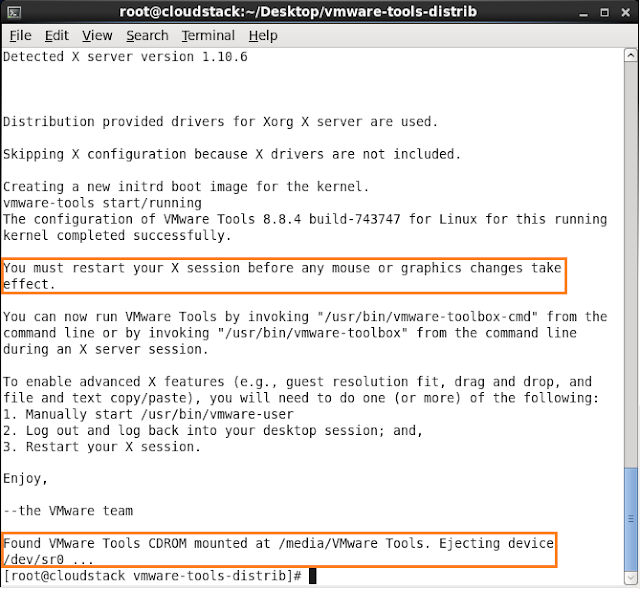 Depending on the features you use, these instructions can include restarting the X session, restarting networking, logging in again, and starting the VMware User process. You can alternatively reboot the guest operating system to accomplish all these tasks. That's it !! 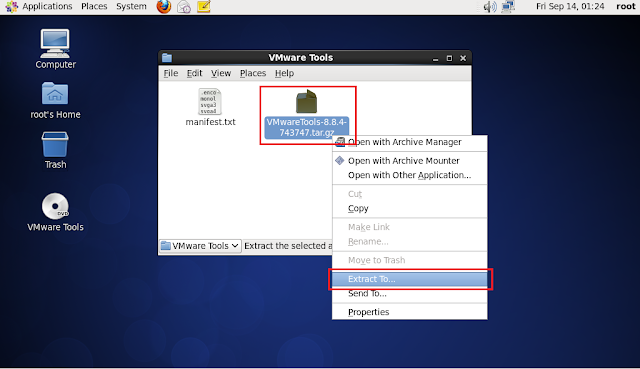 You should now have VMware Tools installed successfully on your CentOS 6.3 VM. 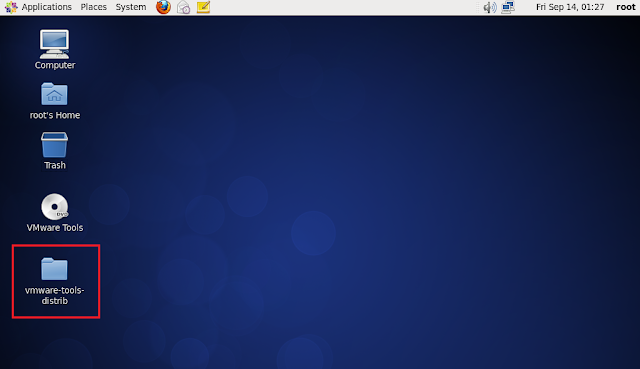 1-- In the virtual machine, log in to the guest operating system as root and open a terminal window. 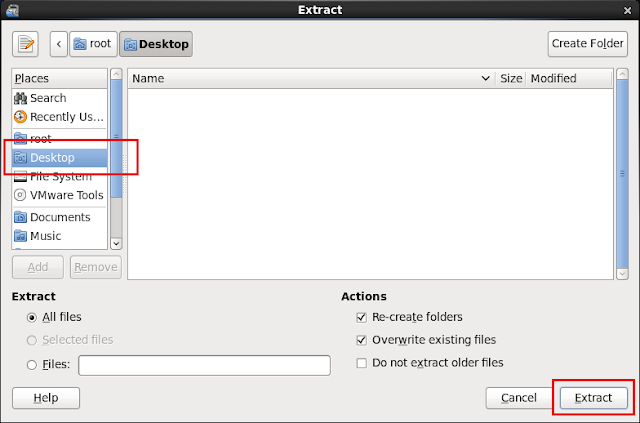 2-- Run the mount command with no arguments to determine whether your Linux distribution automatically mounted the VMware Tools virtual CD-ROM image. 3-- If the VMware Tools virtual CD-ROM image is not mounted, mount the CD-ROM drive. a) If mount point directory does not already exist, create it. b) Mount the CD-ROM drive. 4-- Change to a working directory (for example, /tmp). 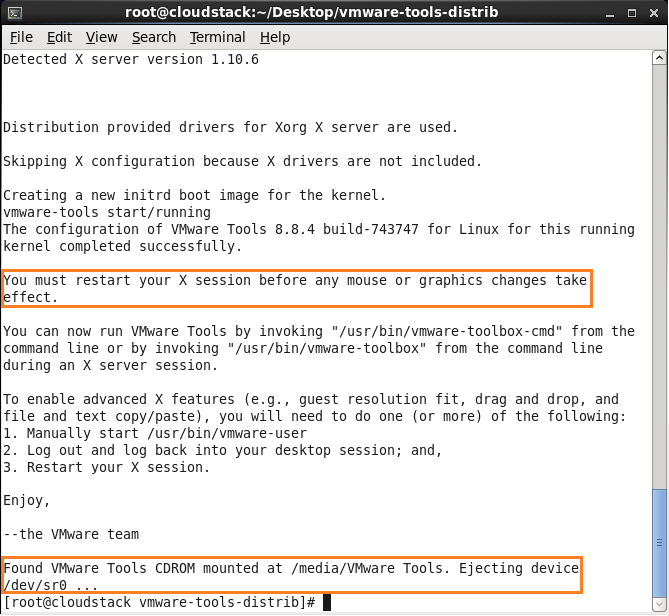 5-- Delete any previous vmware-tools-distrib directory before you install VMware Tools. The location of this directory depends on where you placed it during the previous installation. Often this directory is placed in /tmp/vmware-tools-distrib. 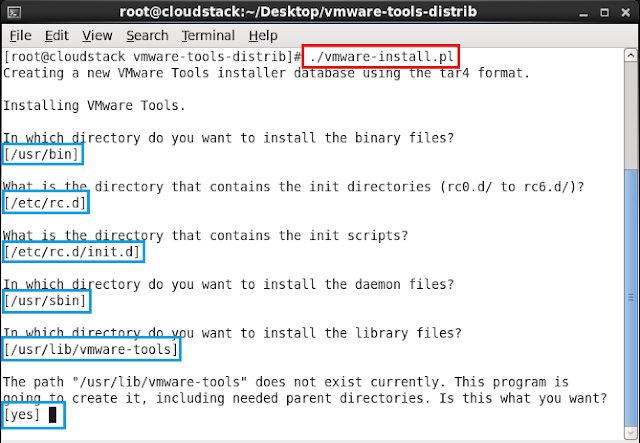 6-- List the contents of the mount point directory and note the filename of the VMware Tools tar installer. The value x.x.x is the product version number, and yyyy is the build number of the product release. 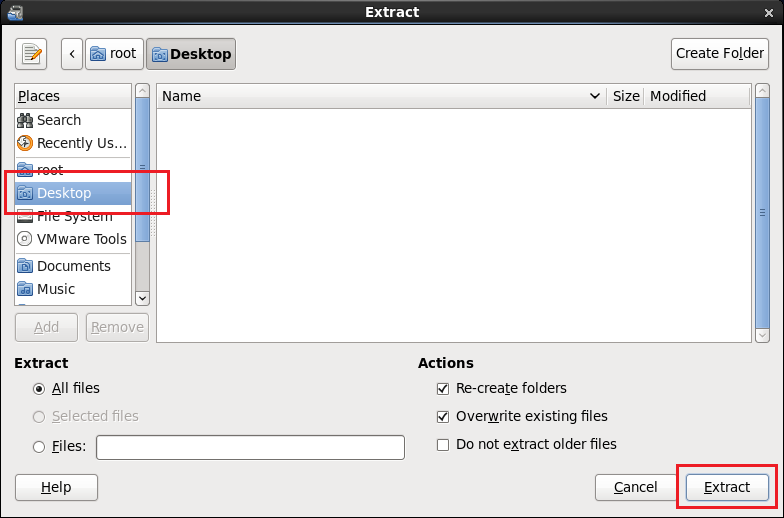 If you attempt to install a tar installation over an RPM installation, or the reverse, the installer detects the previous installation and must convert the installer database format before continuing. 8-- If necessary, unmount the CD-ROM image. 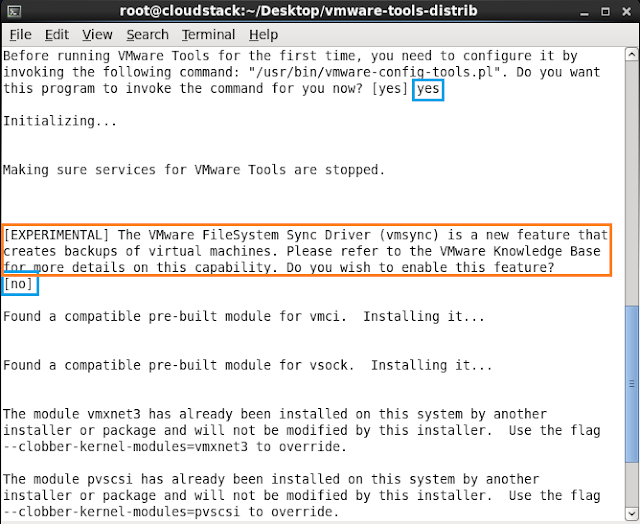 9-- Run the installer and configure VMware Tools. 10-- Respond to the prompts by pressing Enter to accept the default values, if appropriate for your configuration. 11-- Follow the instructions at the end of the script.